Don't you just love this time of year? Long days and great nights, loads of parties and fun times! 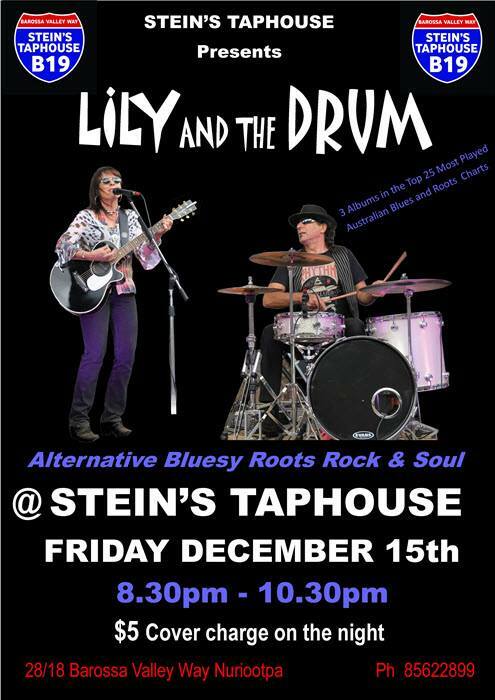 If you love good music why not join some friends tonight for Lily and The Drum! 8:30pm-10:30pm at Stein's Taphouse, Provenance Barossa. Of course the craft beer, wine & spirits is also another great reason to pop on in! Please note that there will be a $5 cover charge.